Narrative medicine is growing in popularity in academic medical centers and healthcare settings. Developed over the past decade by physician and literary scholar Rita Charon and colleagues at Columbia University, narrative medicine (as defined by Charon), “fortifies clinical practice with the narrative competence to recognize, absorb, metabolize, interpret, and be moved by the stories of illness.” There are textbooks on narrative medicine (such as the one by Charon shown here), workshops, undergraduate courses, and masters degree programs in narrative medicine (the Program in Narrative Medicine at Columbia University), and even the venerable Modern Language Association is considering establishing a new forum related to narrative medicine (to be called Medical Humanities and Health Studies). I love narrative medicine and I teach narrative medicine, but I don’t love/teach it without having some serious questions and reservations about this whole ‘movement’ or religion as it sometimes seems to be. Current narrative medicine discourse assumes an ideal encounter between an empathic physician and a cognitively intact, compliant adult patient. What does this mean for providers or for patients who fall outside these parameters? What does it mean for people excluded from health care? What does it mean to be attuned to the narratives, not only of individual patients, but also to the larger, often silenced metanarratives (grand narratives or ‘big granddaddies of stories’) of power and exclusion? In its current form, narrative medicine allows little room for critical reflection or exploration of larger structural inequities and structural violence within health care, including those from the medical gaze (a term from Foucault to describe how modern medicine often treats patients as just a physical body, instead of treating the person who is ill or injured). Narrative medicine largely ignores the limits of narrative, especially within the contexts of trauma, suffering, and oppression. What I mean by this last statement is that there are times when people have experiences that don’t fit neatly into a story-line, a narrative of what happened. There are human experiences beyond narrative, and this is where poetry/metaphor and gesture can be more effective means of personal meaning-making and communication. This is where Arthur Frank’s chaos stories can occur. Even within narrative, we often have a rigid, scripted notion of what a good, straight, linear, satisfying (and effective) story arc should be. It is usually the hero slaying demons and dragons of some sort, having a nice masculine climax, and emerging at the end triumphant and transformed–and even stronger and more handsome! We want soft-focus lens Hallmark moments that make us feel all warm and cozy inside. As applied to the treatment of cancer, Barbara Ehrenreich’s hilarious yet disturbing essay “Welcome to Cancerland” (Harper’s Magazine, November 2001) is a terrific take on this topic. I’ve been thinking about these problems recently in regards to my work with narrative advocacy/ policy narrative, and to my teaching of narrative medicine to nursing and other health professions students. Over the next month or so I’ll be writing a series of posts exploring ways to ‘do’ narrative medicine and narrative advocacy differently. I’ll also include a list of resources that I’ve found to be helpful. 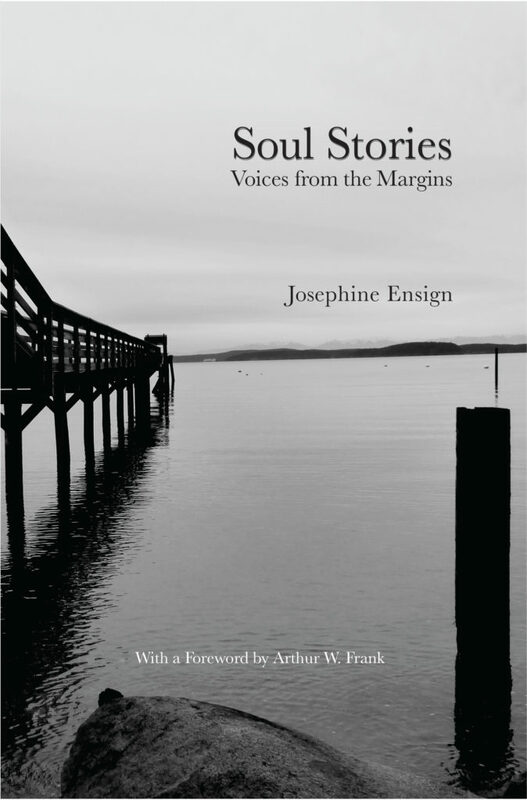 Posted on July 16, 2014 July 16, 2014 by josephineensignPosted in UncategorizedTagged Columbia University, Creative Nonfiction, Health care, Health care provider, Health policy, Narrative Matters, narrative medicine, Narrative Medicine: Honoring the Stories of Illness, Nursing, Rita Charon, Sayantani DasGupta. As often happens, your piece comes right on the heels of what I was thinking. I just did a brief talk on narrative medicine and feel there are many reasons why listening for a linear story will lead you down the wrong path. People may, as in poetry, juxtapose two stories or images in stories that are seemingly random, but they will have a critical connection in the story of the person. Narratives are a bit like EMDR in my opinion, your body might “know” the story long before you can speak it. Thanks, Josephine! Beautiful and powerful set of questions you are asking, about how to tell the stories not only of individual patient encounters, but the context of those encounters, and the social and structural inequities that pummel the bodies of the patients we care for. Expanding the gaze of narrative medicine. Thanks for articulating some significant issues for narrative medicine. Besides your reference to my own work, two other significant resources for addressing these issues are the work by the Swedish communications scholar Lars-Christer Hyden on “broken narratives” and the narrative therapy practices for working with what Michael White & David Epston call the “dominant narrative.” Narrative medicine can address these concerns, but its political aspect is seriously undeveloped, as you note. Thank you for your post (and on my birthday no less!). I am a former Theatre Professor and current medical student. Perhaps there are lessons to be learned in Narrative Medicine from the Theatre of the Absurd, which concerned itself with what happens when communication breaks down, when stories can’t neatly be told, when language falters and the greater world appears to be without meaning due to outside forces. Martin Esslin’s seminal book “Theatre of The Absurd” recounts how the absurdist play “Waiting for Godot” was a surprise hit at Alcatraz prison despite having a pronounced non-linear narrative. The prisoners related to the central theme of waiting for something that may never arrive. Their story had stalled . . . Excellent points and I appreciate you adding them here. Experience with (and appreciation for) Theatre of the Absurd does seem like excellent preparation for working within or being a patient within our health care system. I am very grateful for this post. I am a performing artist who is bringing the power of theater into the illness space -I think there is a huge oversight in the current dominant practice of Narrative Medicine as purely literary that can be filled by theater. Theater, and puppetry, expresses through gesture, sound, metaphor. Theater for social justice has a deep history. A performance responds immediately to what is in the room- it is not text on a page. It is a living breathing encounter. I presented a talk that stitches the role of Narrative in developing Agency for both personal narrative, leading it into building a public narrative within the context of social movements. Narrative Humility was a key point in the presentation. Thanks for this comment and link to your presentation. I agree that theater is too often left out of this discussion and practice. We’ve used some Theater of the Oppressed here in Seattle in terms of health humanities/narrative medicine work, since we emphasize emancipatory models of practice. I also encourage students to include theater in their group projects/presentations for a NM/health humanities course I teach in the summer for nurses. But I’m trying to challenge myself to expand this even more. I commend you on including theater-driven practices in your work! But I also hesitate if/when theater work is led by non-professional theater artists. It is a deep and complex craft that takes years and years to master, as any discipline does. In the work of (The Betes) our model is having professional performing artists lead the work with support from psychologists and mental health workers. This way, both working professionals- the artist and the clinician- stay in their respective strengths, uniting the disciplines but not blending them into, say.”drama therapy.” (not that there is anything wrong with drama therapy.) The work stays therapeutic, but it is not therapy. Another way to say this is tools and modalities are only as good as the people who deliver them. If you are interested, I would love to open a dialogue with you on how to develop the theatrically based component of your curriculum and possibly bring my organizations work to your classroom. Ah yes. I should have clarified that I work with professional/trained theater people as I know that is not a skill I possess. I am interested to compare notes in how you are working / the method we are developing, as this is all new terrain. I am a strong believer in a shared practice. Narrative medicine is a new field and, as such, it isn’t surprising that its purpose, uses, contents, indeed, its very definition are in flux – up for discussion and debate. It’s a healthy conversation to have especially as the project encounters and is influenced by related studies and various permutations of health humanities. That said, I feel, as a recent graduate, obligated to share that your description of the Masters Degree Program in Narrative Medicine at Columbia doesn’t match my experience. I grant that Dr. Charon’s main thrust has its origins in the study of Literature but even within that perspective the emphasis is on “listening”. In her course and those of the other faculty the exceptions to an “ideal encounter” are truly where we looked (and listened) closer and more often. Stories that fit neatly into Frank’s restitution narrative are questioned, not accepted or celebrated because they fit the preferred mold. I’ll grant also that there could be more of the critical turn made in some of the curriculum but I took several courses that emphasized the “metanarratives” of power you hope to address as well as narratives of oppression, racism, feminism, critical illness, permanent disability, and end of life, and exploration of how poetry and metaphor can say the unsayable. Dr. DasGupta, as you point out, is an influential faculty in the Program and her Narrative Humility concept is one of the major take-aways for me and one I use in my own continuing education practice. Buber, Bakhtin, Foucault, Levinas, Judith Butler, Michael White, Audre Lord, Susan Sontag, Arthur Frank, Tolstoy, Virginia Woolf, James Joyce, Alice Munro, and many others were our “teachers”. Phillip, Thanks for your thoughtful comments here. I agree that it’s a healthy conversation to continue having about the role and shape of narrative medicine. I admire the work of Rita Charon and her colleagues at the Columbia U Program in Narrative Medicine. And yes, the work of people like Sayantani DasGupta and Marsha Hurst has helped push narrative medicine into more of a critical turn as you put it. I do wonder though about it being such a rarified, almost exclusive club sort of thing that somehow views itself (‘it’ as the grand sum of its parts–not any specific person) as outside of the more raucous, down-and-dirty medical/health humanities arena–that doesn’t acknowledge its connection to the rich and deep history of the health humanities. Don’t disagree with you there, Josephine. That’s one of the challenges facing graduates – how to make practical application of the theories in the everyday world especially way out here in the wild west i.e. anywhere west of the Hudson. Ha! West of the Hudson is a great opening line for something waiting to be written. I often return to Wallace Stegner’s “One cannot be pessimistic about the West. This is the native home of hope.” White colonialism aside, there’s truth to those words–still. We tend to do things differently, view things differently from this side of the country. I think of that now every week as I take a Story Circle course with Joe Lambert/ The Center for Digital Storytelling (soon to be renamed The Story Center I believe)–out of Berkeley.